Now a days people can live a day without food but very hard to live without internet. Actually everyone want to move their business in online space even retail shopkeeper & vegetable owner also thinking of having a online portal. So what do you think is it easy to move any business online without help of an IT person? Yes!! You can easily develop your website making use of content management system(CMS), wherein you need to give small effort to customize your website as per your convenience. There are plenty of options available when it comes to picking a content management system for a developing website. But before we move to list of best CMS, let’s know first what is a content management system..
Wikipedia says ‘A content management system (CMS) is a computer application that supports the creation and modification of digital content.’ In simple words you can use this tool to create your website with few clicks. Let’s also know CMS advantages and disadvantages. 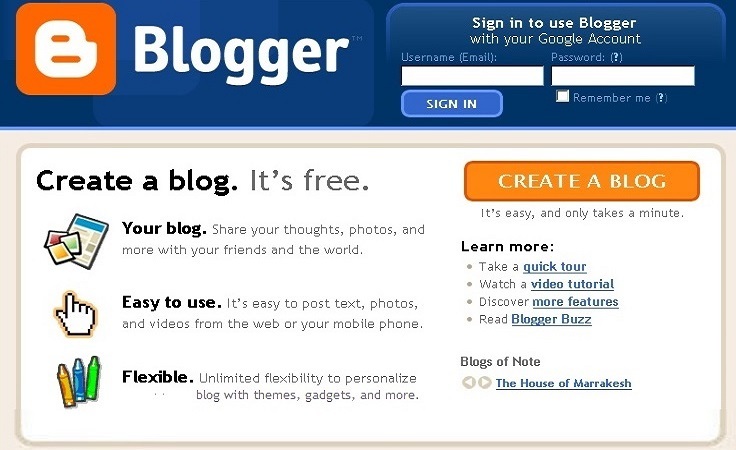 Easy to install and take few minutes only to develop a blog or site. Easy Workflow management and Customize as per convenience. Most of CMS run by community and big community of CMS available for help. No need to pay any maintenance charge to any developer or support guy as you own can do this work. Available plugin make every function simple and most of them free of cost. Full template support, for unlimited looks without changing a line of content. Low cost as compare to develop website by own or take support of any IT person. With advantage CMS also have some disadvantage which we need to take care while using. Security (If not update and follow rule properly) then high vulnerable. By mistake choose theme and plugin which have some flaws. If you required any changes in theme then knowledge of PHP required. Hopefully you understand what cms is & how much it is beneficial for you. Now I am listing few popular CMS which used widely in online web world you can choose the one that fits your needs best. Leader of all online content management system and Web software use to create websites. Build by community of volunteer and availability of thousands of plugins makes it more powerful. Here you can use themes as per your niche and make website more attractive. It take less than 5 minute to configure full website. WordPress powers more than 24% of the world web and this figure indicate how powerful this CMS is.you can check statistics on Builtwith site. Number of downloaded: 42 Million only wordpress 4.4 (till April 2016). Total download: Greater than 140 Million. Free of cost and best CMS for beginner. Plenty of document and tutorials available. Many paid plugin and theme also available. Build in comment and easily manageable. Easily Search engine optimization plugin available. You will get thousands of theme includes responsive theme. One of the best platform that enables you to build Web sites and powerful online applications. Joomla also open source software means freely available to everyone. By using this platform you can build from small personal website to top corporate website. Many inbuilt feature available in Joomla that make it a powerful CMS. Joomla best use for e-commerce sites and social networking sites. You can see statistics on builtwith site. Total downloads: More than 2.1 Million. Market share: Approx above 6-10% of CMS and 3.3% of all sites. User friendly and mobile-ready platform. Take not more than 10 minutes to get install. Offer great portal to help you on any issues you face. Multilingual CMS platform and offering more than 64 language. You can customize Joomla by using 7000 available extension. Most powerful and second most popular CMS available today. Open source platform which help you to develop from simple blog to large corporate website in free of cost But this platform are complex as compared to above two so use by those people who are technically knowledgeable. even you can use by just reading about how one can use. Total downloads: More than 15 Million. More than 24000 plugin available. Advance as compare to wordpress and joomla. Easily customize with in built plugin,themes and extension. One of easy & oldest platform for beginner blogger. Any person can use this platform by just having gmail account and use drag & drop facilities to create website. Mainly for blogger who want to start writing what they like and Once you get traffic then you can integrate with Google adwards. Has limited number of templates. You can easily edit HTML here and make it suitable. Easily availability of what you see and what you get (WYSIWYG) builder. It is top platform that provide many facilities to build digital platform for retailer like eCommerce websites and used by more than 2,00,000 retailer worldwide. 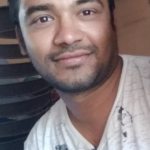 So If you want to see your business into next level then try to use this and reach out whole world customer without build physical shop anywhere. Open source platform so can use in free of cost. Searching and sorting product by several criteria. Multisite functionality means you can create many sites with unique domain name. Platform designed to provide facilities to create learning environment mainly. You can use theme and in built plugin to customize your site as per your convenience. 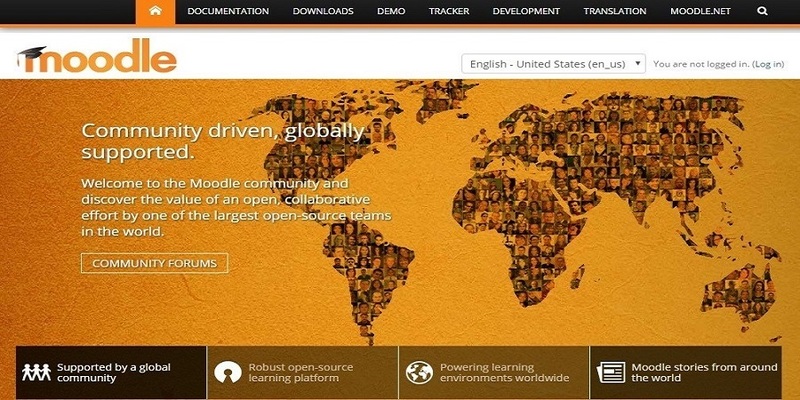 Moodle is primarily aimed at the education market, but is also used by plenty of corporations for eLearning and training purposes. Monthly visitor: 3.1 million (April 2016 As per similarweb). Open source platform like all above. Highly flexible and full customization platform. Big community t help you out on any issues. Easy drag and drop facilities and simple interface. Support multilingual , support more than 120 language. Latest online platform for individual blogger as well as online publication. It’s beautifully designed and completely customisable feature attract more people to use this platform. Ghost is completely Open Source platform and allows you to write and publish your own blog. Monthly visitor:740 K (June 2016 as per similarweb). It is more faster than other CMS. SEO and social build in plugin available. You can apply custom theme easily as per your niche site. You can chat with other developer by joining slack community. You can try ghost free for 14 days then you need to pay as per number of views. Here you can create free online store as similar to 250,000 ecommerce sites run on PrestaShop. By using appropriate theme and plugin you can easily create any type of website. you can join community for any expert suggestion or advice. In built SEO feature facility. Build in feature of cross selling, coupons, etc . Expert team available with almost 850,000 member. Not all thing free of cost , you need to pay small amount for few themes and plugins. Typo3 is highly flexible, scaleable and customizable products for Web Content Management system. Here you will get large community of expert for getting any help. User friendly with unlimited extendability. Huge active community spread all over the world. Support Multi-site management and version control. Best open source shopping cart solution, just simply install then add template then add product and ready to start accepting order. You can easily designed user friendly and feature reach system. Backup and restore tool available. Thousands of ecommerce themes available. Free user guide and video tutorial available. Available in multi language and multi currency. Faster, responsive and SEO optimization platform. Hundreds payment gateway and shipping method available. Below are few more CMS which you can use as per requirement. All above are best content management system and have their own specialty So you can choose any cms as per your requirement. I recommend to use WordPress as it is most usuable and trusted cms.